Fountain Valley Community Foundation — Encourages, supports, and facilitates philanthropy to improve and enrich the lives of people in Fountain Valley. Visit their site to see their latest community works. 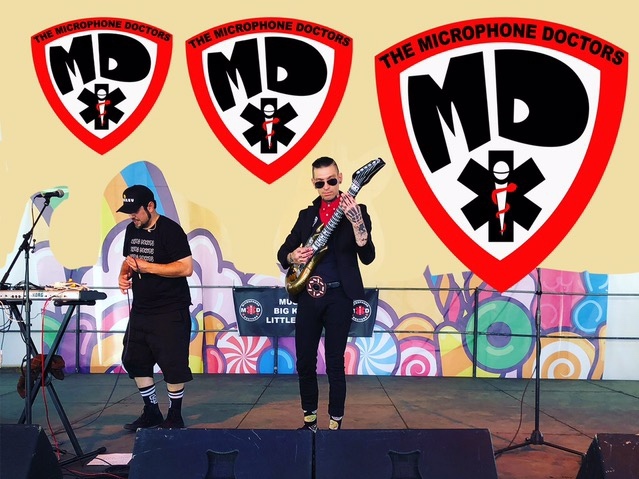 The Microphone Doctors are a San Diego Music award nominated high energy novelty hip hop/rap band. Mike Smiley Costello is a multi instrumentalist for The Microphone Doctors and San Diego alt band One I Red. Casey Sullivan grew up skateboarding and playing music in Orange County, CA. He formed “Seedless” with his high school friends and toured the nation playing reggae music and gaining a large nationwide fanbase. He helped write and produce “Twisted Roots” which was named iTunes top reggae albums of 2010. Casey now plays with his wife, Katie Jo Sullivan on bass and a few close friends (Alex Vo and more) and plays a mixture of covers and originals spanning the genres of reggae, rock, blues and Motown. He is set to release a brand new album of music he has been working on in the Summer of 2019!